This picture shows green corn processed in three ways. 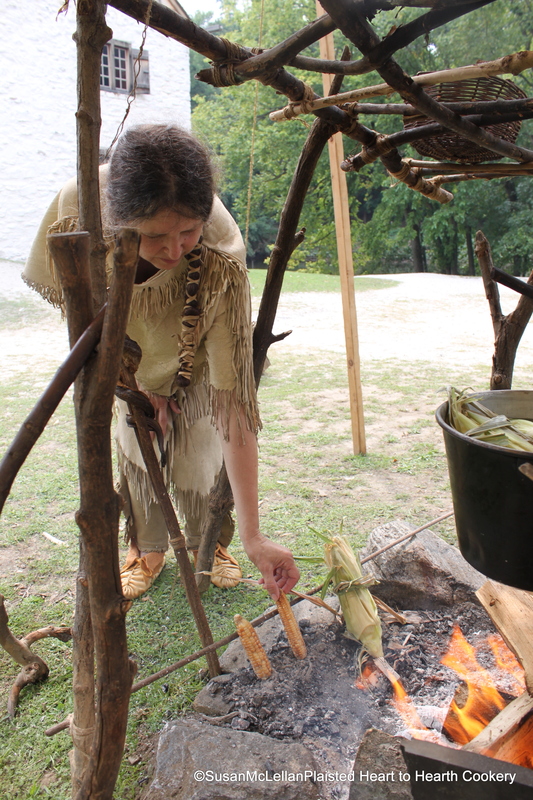 I am turning the Lenape white flour corn as it is browning nicely for tasemenana (preservation of green corn). On the same stick is a roasting ear of green corn with the green husks tied after the silks were removed. In the trade kettle to the far right of the picture is a third method of preparing green corn by boiling.